Tourism is the state’s bread and butter. (There’s nothing quite like good ole Southern comfort food.) It is Florida’s largest industry, accounting for almost one-fourth of the state’s sales tax revenue, and remains a powerhouse for job creation. According to VISIT FLORIDA, the state’s official tourism marketing organization, an estimated 1.2 million direct travel-related jobs were created last year, up 4.7 percent from 2014. During a February press conference at Disney’s Epcot, Gov. Rick Scott revealed a historic 105 million people traveled to Florida in 2015. This marks the fifth consecutive record year for tourism, exceeding not only the previous high of 98.5 million in 2014, but also Scott’s initial goal to reach 100 million visitors in a year. Though impressed by the figures, Scott envisions opportunities for growth and hopes to draw 115 million visitors to the state in 2016. Part of those strategic investment plans is to increase annual tourism, from both tourists and residents, especially during off-peak seasons. 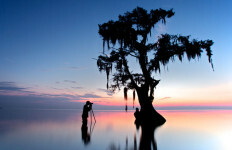 Heeding Scott’s call to action is a historic Florida city located among the rolling hills, giant oak trees and Southern-style hospitality in Florida’s panhandle. Tallahassee, often overlooked in favor of the state’s other attractions, (think beaches and theme parks), is pulling no punches this spring. Rock band O.A.R. 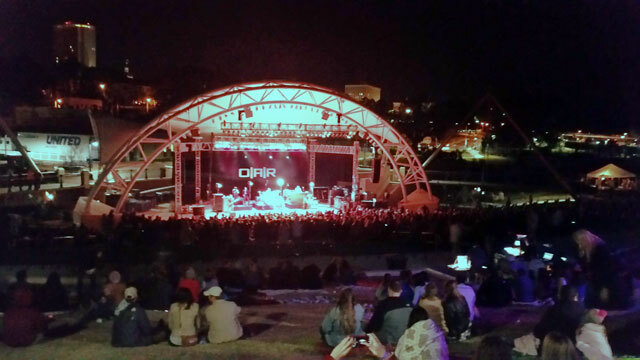 performing at Capital City Amphitheater in Cascades Park. They are one of many popular acts on Tallahassee’s agenda to draw in crowds. Leon County is enjoying strong growth along with the state, experiencing six consecutive years of record-breaking visitation. The latest data from Visit Tallahassee reveals that tourism is nearing the billion-dollar mark in the state’s capital county. More than 2.4 million visitors from 47 different states and 36 countries came to Leon County in 2014, generating an economic impact of $963 million to local businesses that helps support more than 11,000 tourism-related jobs. It is not surprising the region is maximizing its efforts to keep driving up those numbers. A billion-dollar record is on the horizon. 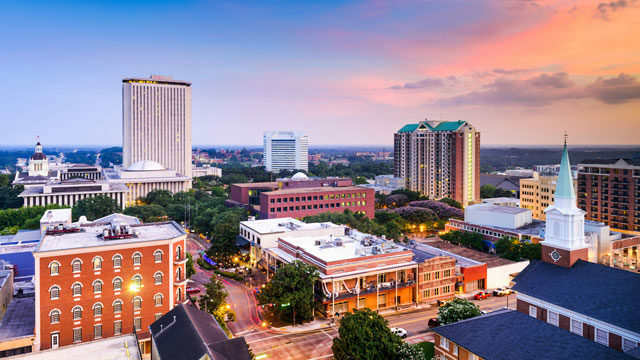 To Lee Daniel, executive director of Visit Tallahassee, identifying the region’s strengths is key in order for Tallahassee to be considered a viable destination. “We offer something different they don’t have out on the coast and in the major theme park areas,” he said. Tallahassee is showcasing a different side to its tradition of politics, football and canopy roads – a quirky side that redefines spring break adventures. With the capital’s rich history, heritage and nature-based opportunities, locals are polishing a hidden gem. From universities to museums to retail, if you ask a local about his or her thoughts toward the city, their responses will invariably include passion for the community and a sense of belonging. 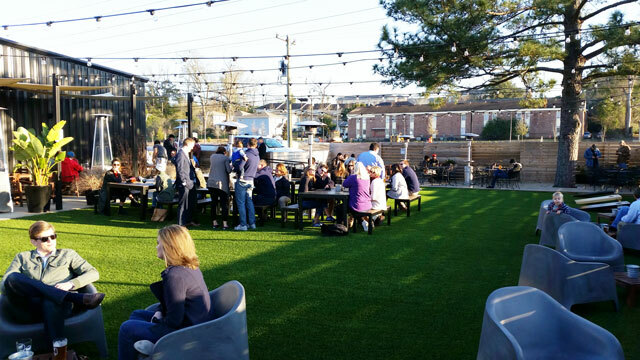 Outdoor beer garden at Proof Brewing Co. 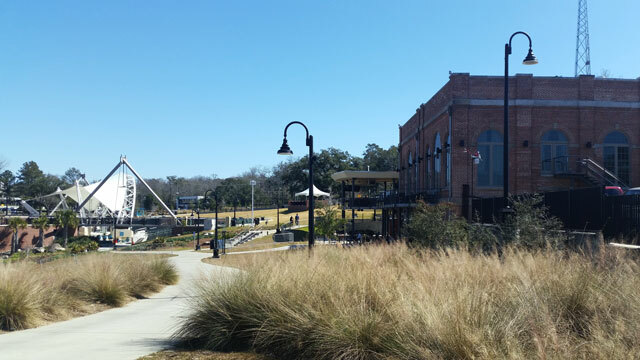 Within walking distance from FSU, Florida A&M University and Florida’s State Capitol buildings, there is a cultural haven called Railroad Square Art Park filled with World War II-era warehouses turned artist studios, galleries and shops. Proof Brewing Co. is tucked in the heart of the square, in a giant black warehouse which interestingly enough blends into the colorful landscape. Proof Brewing serves as Tallahassee’s first craft production brewer and largest brewery, as well as a trailblazer for other breweries hopping onto the expanding craft beer scene. An accomplishment that doesn’t go unnoticed by the brewery. Proof Brewing Regional Sales Director Alan Truesdell emphasizes the homegrown culture. He boasts of the city’s active role in fostering a sense of ownership, pride and even success in Florida’s burgeoning $2 billion craft beer industry, partnering with several beer hotspots throughout the state, including Cigar City Brewing in Tampa and Kush in Miami. Another transformative cultural district pouring into the state’s economy is a former brownfield site near downtown enjoyed by hundreds of people every day. The newly constructed 24-acre Cascades Park is a $30 million “floodable” park designed to double not only as a picturesque urban space, but also an innovative stormwater runoff facility to reduce local flooding. It is listed on the National Register of Historic Places. The vast green space is ideal for visitors interested in enjoying the scenery or an outing with their dogs. 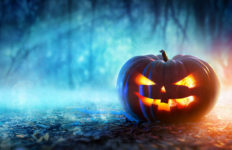 Other features include more than 2 miles of multiuse trails, a family oriented playscape, Cascade Fountain, the interactive Imagination Fountain and historic exhibits that span centuries, such as the Prime Meridian Marker, Smokey Hollow Commemoration and Centennial Field. A chic restaurant, The Edison (named for Thomas Edison), is an exciting addition to Cascades Park, offering an internationally inspired menu in a renovated 95-year-old building with quite the illuminating presence. Cascades Park is 24 acres of unique urban space and opportunity. However, the state-of-the-art Capital City Amphitheater is really the centerpiece of the park, seating about 3,500 people, and sets the stage for big-name performers and economic opportunity when events like the Spring on Stage Concert Series (through May 28), Word of South Festival (April 7 to 9) and Southern Shakespeare Festival (April 15 to 17) bring thousands of visitors to town. Signature culture is springing forward revitalized community growth. 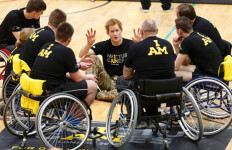 “We’re special and unique, and I think more and more visitors are coming to that conclusion as well,” Daniel said. Unlike most of Florida, Tallahassee experiences all four seasons. 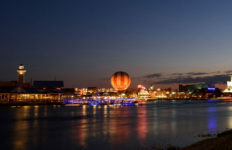 Fortunately for visitors and residents, the city has plenty unique experiences to offer not only in spring, but year-round. Blacksmithing Workshop, Mission San Luis. Hone blacksmithing skills at Florida’s Apalachee-Spanish living history museum by learning the power of the hammer, build a fire in its traditional Spanish-style forge and more. Beginner workshop, May 7 to Nov. 5. Intermediate workshop, April 2 to Dec. 3. Spring on Stage Concert Series, Capital City Amphitheater. Recording artist Boz Scaggs takes to the stage April 22, followed by R&B singer-songwriter Tank April 29 as part of FAMU graduation weekend. Classic-rocker Peter Frampton closes the series May 28. Downtown Crawfish Festival, Kleman Plaza Downtown. The Society Foundation hosts this New Orleans-inspired crustacean affair April 23. Includes live music, a crawfish boil, a kid’s zone, a live celebrity cooking show with celebrity chef Art Smith and much more. Tallahassee Brews & Burgers Festival, The Brass Tap Midtown. A celebration of craft beer, burgers, music and community kicking off April 23. Includes 16 top local and regional breweries and a burger competition between local favorite burger joints judged by Tallahassee celebrities. Pioneer Breakfast and Jazz & Blues Festival, Tallahassee Museum. A down-home fundraiser kicks off the festival weekend April 23, serving up hearty morning helpings on the museum’s 1880s farmstead. The festival is billed as one of the region’s best two-day jazz, swing, rhythm and blues music events, running through April 24. What’s the Point? : Embroidery as Art, LeMoyne Center for Visual Arts. Features contemporary and historic embroidery techniques, May 6 to 28. The art gallery behind the nationally ranked LeMoyne Chain of Parks Art Festival (April 16 to 17) will be showcasing more than 100 works from the Embroiderers Guild of America’s National Collection. Gallery talks and workshops every Saturday. ACC Outdoor Championships, FSU. Men and women’s track and field teams across the country compete May 13 to 15 at the Mile Long Track, widely recognized as one of the best facilities in the South. 22nd Annual Tour of Gardens, Maclay Gardens. The self-paced tour of the private gardens starts off with a continental breakfast May 14. Gardens selected this year offer an interesting mix of styles, such as a shade garden at a country house complete with chickens and a rain garden. Voces Angelorum Spring Concert and Garden Tour, Goodwood Museum & Gardens. Hear the “voices of angels” in the Carriage House while enjoying wine and delicious hors d’oeuvres May 22. Tallahassee Latin Dance Festival, Tallahassee Antique Car Museum. This three-day event is filled with Latin dance performances, workshops, dance contests, and nightly parties. Begins June 3. The Ride for Hope, North Florida Fairgrounds. Bicyclists from beginner to expert cycle one of five courses through a unique landscape of natural beauty June 10 to 11. A vendor expo, family fun festival, and a health fair are also on the activity agenda. Frank Lloyd Wright Birthday Celebration, Lewis Spring House. The endangered house with a soul honors the famous architect on his birthday, June 12. 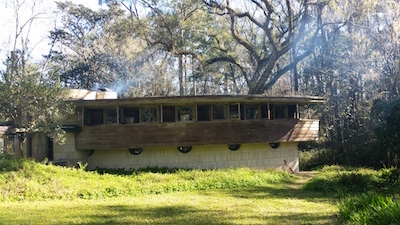 Spring House is the only Wright designed private residence in Florida.